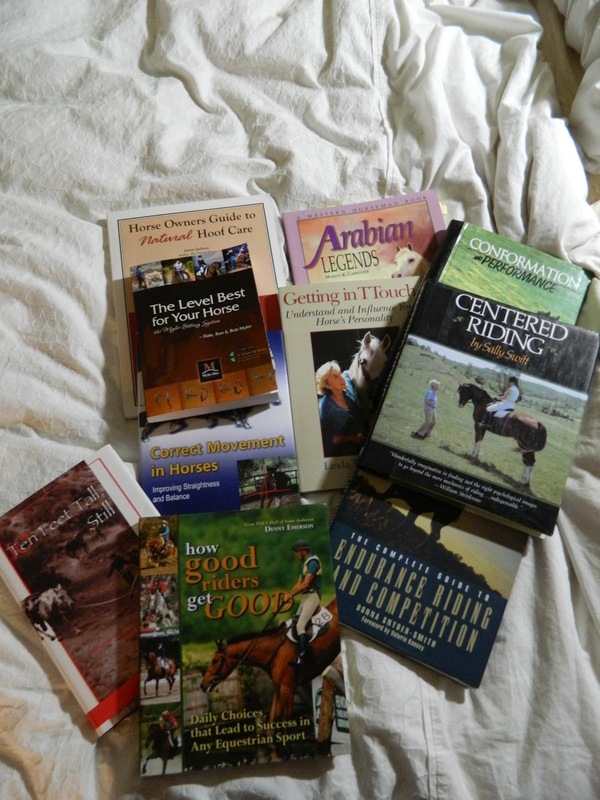 Inspired by the idea of the ‘Top Ten’ in endurance, I’m presenting my Top Ten list of favorite equine-related, non-fiction books. Though it was written quite a few years ago, much of the information is still relevant today and it’s my favorite go-to endurance guide. I’ve been skimming through it as a refresher course with the thought in mind that one day, I am going to have to bring a new horse along in endurance. I have several endurance-related books in my library, and I end up going through all of them, but this one ends up being the one most frequently grabbed. A timeless classic that should be on every bookshelf. Even if you’re not interested in any kind of arena-based competition, this is a valuable resource as a book because it gets down to the functional basics of riding that are important no matter what your discipline. I am constantly learning from it, even with close to 20 years spent in the saddle. This was actually one of my textbook (!) for an Equine Science class I took in college. Best class ever…well, toss-up between that and a Theatre Movement class that involved stage combat…but the equine one turned out to be a little more relevant. Warning: Once you read this book, you will never be able to look at a horse without finding fault in their conformation, and you start wondering if you’ll ever find a perfectly-conformed horse. Hint: You won’t…it’s a matter of learning what conformation flaws you can live with and which are unacceptable. The photography is a major part of the book, and makes it really easy to identify each conformation aspect that is being discussed. This book fascinates me. I absolutely love analyzing a horse based on their physical characteristics. 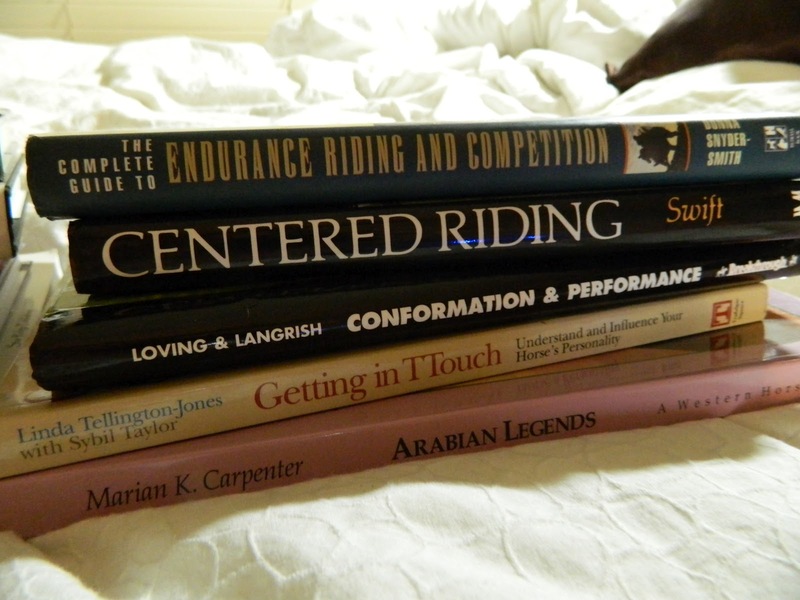 I’ve applied the principles in the book to enough horses that I’ve know to find it’s eerily accurate. I love horse “psychology” for lack of a better word, knowing ‘how’ and ‘why’ a horse is going to react to something the way they do, and these kinds of books have gone a long way towards altering my perception of working with the horse and turning them into your partner, versus an automatronic sheep. I am a lightweight, a complete novice, when it comes to bloodline research. I know just enough to know what I like and what to avoid. But bloodline history is fascinating to me. Especially with Arabians. They’re such an old breed, with so much history tied in to them, that just going through this book is an interesting read. A new addition to my bookshelf. I started following Denny’s blog a few weeks ago, and very quickly ended up purchasing the book. I’m only a little ways into it at this point, but already loving what I’m reading. Not so much a technical manual as it is a mental strategy guide and examination of you as a person and how that translate into you as a rider. He doesn’t pull punches, but lays out the facts, sometimes in ways that’ll make you cringe to yourself when you realize you’re guilty of doing exactly that thing. But he also manages to do it in such a way that it never feels like a personal insult or attack, but rather a bald statement of fact and motivation to look for how to fix/change it. Looking forward to finishing this book…and then re-reading it. I must get Julie’s new book. But until then…I love this book. I love her writing style…she’s a fantastic storyteller and I love that she lets so much of who she is come through in this book. It’s a memoir, not a technical manual…and yet, there is so much to learn from it. It’s entertaining, and her description of riding Tevis has brought tears to my eyes on a number of occasions. I am a certified bit geek. I love collecting them…love figuring out whether they work or not…and this book really opened my eyes. I learned things about bits that I either didn’t know, or had a pretty drastic misconception of. I will never stop learning or trying to further my education, and this book is one of those really good examples of why. I also just love reading about all of the different options for bits and how they all work. I could go broke just buying bits. I was introduced to this book at the Dr. Kerry Ridgway seminar I attended a couple of months ago. 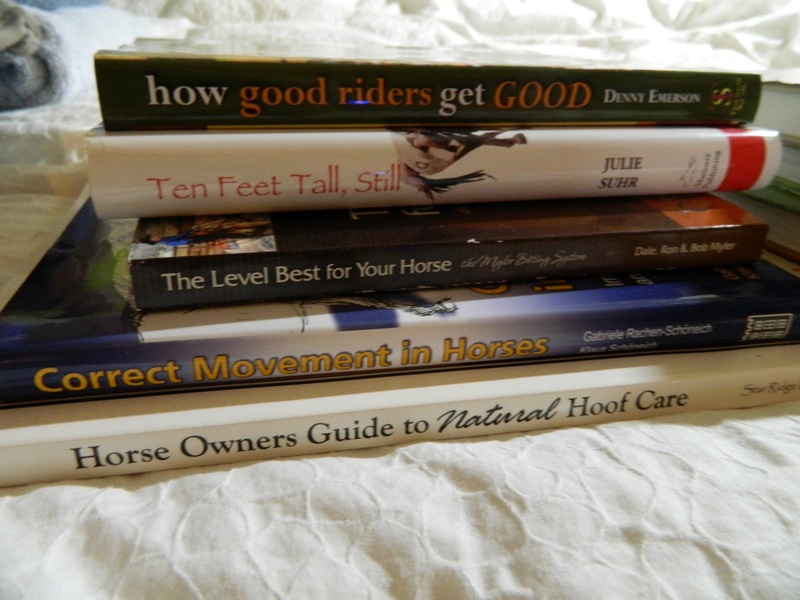 Many of Dr. Ridgway’s principles of training and balancing of horses comes from this book. This is a really good, even further in-depth explanation of the problem of “the crooked horse” and training solutions for how to go about solving it. I’ve not had a chance to put the theories into practice yet, but I’m enjoying adding this knowledge to my repertoire. It was actually kind of hard to narrow it down to even ten…I’ve got another half dozen or so that I really like. Decisions, decisions. And I think I might continue this Top Ten list trend, just moving around to various topics. You're welcome! Always happy to pass along my favorite resources. Read The Lighter Side of Endurance by Angie McGhee. It's by an endurance rider who is from out here in the SE division but she's funny as hell as I had to pause and come back to the book twice because I'd be in stitches from laughing so hard. Own it…love it! Angie is absolutely hilarious. I have boxes full of magazines, going back to when I got started in horses. I don't have shelf space for them right now, so they're all in storage, but I'm keeping them.